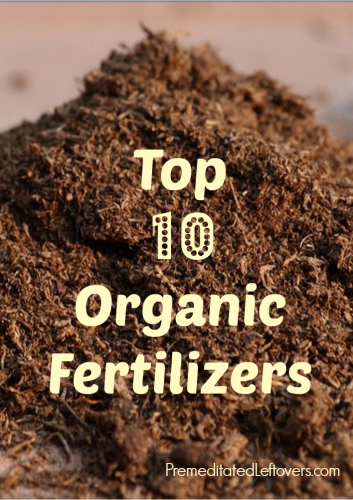 Organic fertilizers are a plant’s best friend. They don’t have any harmful synthetic chemicals that can burn a plant’s roots or make it think it’s on drugs. Does it really matter if you use organic versus synthetic fertilizers? The benefit of using organic fertilizers is that the plant can only uptake the nutrients it can use at the current time and no more. Whereas with synthetic fertilizers, if too much is applied to the plant then it can burn the plant’s roots and leaves and can also kill the plant. Also, synthetic fertilizers make a plant become addicted to the chemicals, much like a drug addict does. The plant wants more and more of the chemicals to thrive, to produce bigger fruits and vegetables. Then those synthetic fertilizers get into our waterways through run offs – it’s a vicious cycle! How do you know if what you are buying is an organic or synthetic fertilizer? When looking at the bag of fertilizer, you need to read what nutrients are in the package. If it says anything like 10-10-10 or 10-15-10 then you know it is synthetic or chemically made. Natural fertilizers don’t come in perfect combinations of nutrients, but show numbers more similar to 4-12-0 or 13-1-0. These three numbers represent the percent by weight of Nitrogen (N), Phosphorus (P) and Potassium (K) and are listed in the same order. Nitrogen is the primary nutrient used by the plant’s leaves and pretty much everything above the soil. Phosphorus helps the plant’s roots growth and helps promote flower and fruit production. Potassium helps the plant build up tolerance to drought, heat, and cold and is most available within the soil when the pH ranges between 6.0 and 7.0. Blood Meal: 13-1-0 Great source for nitrogen and can be mixed in with potting soil and added to the soil of established plants monthly. Bone Meal: 4-12-0 Awesome source for phosphorus and helps the plant to grow a healthy root system. Works great in conjunction with blood meal. Compost: 2-1-1 Compost adds organic matter that provides food for beneficial microbial life, which in turn increases the amount of water the soil can hold. Compost also contains many micronutrients essential for healthy plant growth. Earthworm Castings: 2-1-1 A overall great organic fertilizer for flower and edible gardens. Bat Guano: 0-5-0 Excellent source of phosphorus and an essential organic additive for vegetable gardens. Fish Emulsion: 2-4-5 Has a little bit of everything. This is does not smell all that wonderful – you have been warned! Alfalfa Meal: Great fertilizer 2.45-.05-1 for roses and encourages soil microbial activity, which makes nutrients more readily available to roses. Cottonseed Meal: 7-2-2 Has a high percentage of nitrogen, second best source of organic nitrogen after blood meal. Cottonseed meal also acidifies the soil. Feather meal: 7-0-0 to 12-0-0 It takes 4 months to break down and release its nutrients, but it is a high nitrogen fertilizer. It is a poultry processing byproduct. Rock phosphate: 0-2-0 A mineral rock powder, rock phosphate is an excellent source of phosphorous and calcium. Remember that the phosphorous contained in rock phosphate becomes more available the second year after application. Be sure to test soil pH before adding rock phosphate.